As many as 104 civilians will be conferred with the Padma Awards. But one should not forget the daily heroes who inconspicuously work towards a better India. The Republic Day of India is a celebration of our Constitution, a celebration of our people, a celebration of us. The Constitution is a reflection of everything an Indian citizen stands for – our rights, our duties and our freedoms. We pride ourselves on our democracy and we show considerable angst if our rights or our freedoms are threatened. But the Constitution also speaks of duties; our duties to ensure our country “constantly rises to higher levels of endeavour and achievement”. Duties are not just limited to paying taxes regularly and casting our vote. Our duties must extend beyond just personal achievement. While striving for our own achievements, it is also our duty to put India on the path of progress. What benefits our society, benefits us as well.Every year on January 26, a few selected citizens are honoured with the Padma Awards. The Padma awards – the highest prestige to be bestowed on civilians after the Bharat Ratna – are conferred on people who have achieved great heights in their respective fields such as arts, science, literature and social work. No doubt, these are India’s heroes.But there is also another kind of heroes that our country is blessed with – the kind that is inconspicuously carving out a better India, rock by rock. The kind that deserves recognition and honour – not just for exemplary over-achievement, but also for being ideal citizens of India. 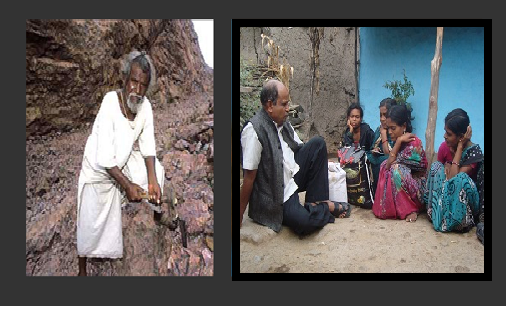 Dashrath Manjhi, an ordinary man in a once disconnected village, is of this kind. Manjhi hacked at a 300 ft. mountain all by himself to carve out a road for his entire village. “All I want is a road, a school, and a hospital for our people. They toil so hard. It will help their women and children.” And this is the reward Manjhi saw for himself – the benefit of his entire community. 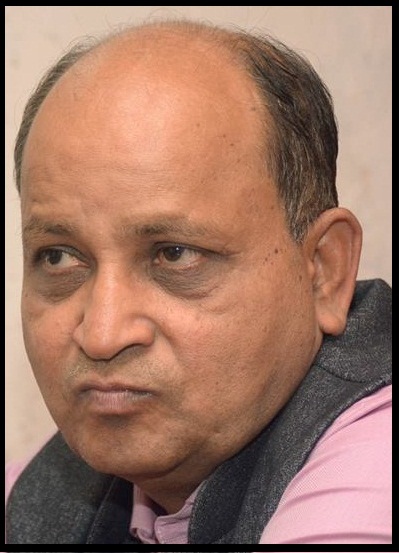 His own children and grandchildren now live better lives thanks to his actions.Kishore Tiwari, an engineer with his roots in the Vidarbha region, chose to take action to change the image of his hometown which was infamously being referred to as the suicide capital of India. He started the Vidarbha Jan Andolan Samiti (VJAS), a collective voice of the people to ensure their problems are solved and their questions are answered. VJAS also provides sustained rehabilitation support to victims of the farmer suicides. Tiwari has united all the farmers’ voices in the region into a collective voice for change. What sets him apart? He didn’t just sit, read about their plight and lament about the inaction of the administrators – he chose to act. These are India’s everyday heroes – ordinary citizens who choose to act; citizens who are proudly connected to the communities they live in. Naturally, in a country with thousands of inspiring individuals like Manjhi and Tiwari, the Padma awards just aren’t enough. We ought to recognise the everyday heroes all around us - heroes who inspire us to change. We all know such people. Let’s celebrate them and be a part of this change. Let’s get inspired. It’s time to rise to the occasion and act on our good intentions. Let’s be India’s heroes. Let’s make 2015 the year of the Do-It-Yourself Indian.